will take place on Sunday, May 31, 2015 from 1:00 to 5:00 pm on the street in front of C4A studios at 103 North Race Street in Urbana! 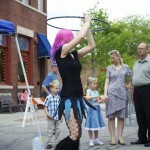 This free street party celebrating local arts and artists–funded by a grant from Urbana Public Arts–is very family friendly, and open to the public. 1:00 Marvelous Cretaceous Band: our group of adult amateur musicians who gather weekly to play an eclectic mix of dance music and more. 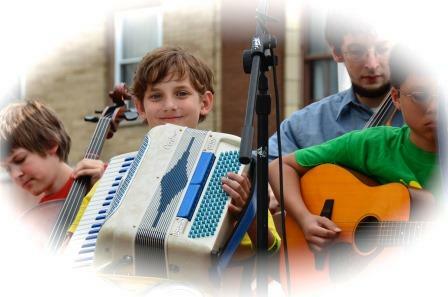 2:00 Bow-Dacious String Band: C4A’s flagship ensemble for young fiddlers, cello/bass players, strummers, and accordion players. 3:00 Bach Double Concerto performed by C4A students followed by C4A Jazz Combo: our small jazz group playing favorite tunes from the jazz repertoire. 4:00 C4A Faculty and Friends Old-time String Band: traditional dance music from midwest, Appalachian, and celtic origins and beyond. Cakewalk Band: at 1:45, 2:45, 3:45: Advanced students at C4A will perform live music for our popular cakewalk between sets on the main stage. Take a stroll, win a treat! Electric Try-It Tent (sponsored by Corson Music Guitar Store): our teachers and advanced students will show you around and let you try electric guitar, violin, or keyboard. Piano Try-It: our teachers and advanced students will show you how to play our baby grand piano. 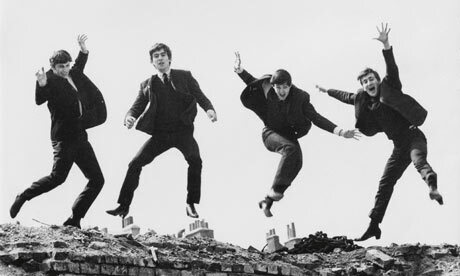 Beatles Sing-along hosted by C4A faculty Steve Meadows & Josh Houchin. 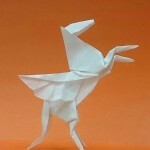 Origami folding with master folder, Xudong Guan. Coloring station hosted by Urbana Public Arts and Urbana Business Association. Lots of fun games and prizes.